July 23,2018- With over 70 per cent of Americans ignorant about Sikhism, schools in the US state of New York will now include lessons on the minority community in their curriculum to educate students about Sikh religion and its tradition, according to a media report. A non-profit Sikh organisation, the United Sikhs, in collaboration with New York City’s Department of Education, have taken this initiative to educate American students about Sikhism. They came together in Jamaica, Queens, to celebrate a new curriculum for fifth and sixth graders in all five boroughs, the report said. Pritpal Singh, the United Sikhs’ senior policy advisor, said that 70 per cent of Americans his group surveyed do not recognise Sikhs. American students are not aware about their Sikh classmates, who are subject to bullying and ignorance which breeds animosity, the report said. “They have no idea who we are, what our origins are, where we come from or what country we come from,” Singh was quoted as saying by the report. “The fact that we come from India is not understood,” he added. The curriculum was formally announced on Friday, but it actually first started in some city classrooms in September 2016. At the end of this past school year, Sikhism was being taught in 70 per cent of fifth- and sixth-grade classrooms. The department of education will continue to roll out the curriculum to the remaining schools over the next several years, the report said. Last year in April, National Sikh Campaign, a non-profit organisation, launched a million-dollar awareness campaign to inform Americans about their religion amid a spike in hate crimes against the minority community. The month-long “We are Sikhs” ad campaign was launched by the organisation on April 14 on the occasion of Vaisakhi, a holy day for the community. Four American States namely New Jersey, Indiana, Delaware and Oregon have have declared the month of April for Sikhism. 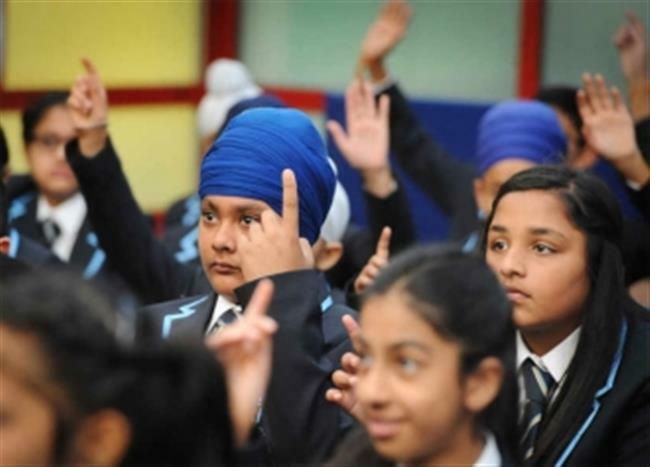 According to a survey conducted by the Sikh Coalition, a community-based organisation that defends Sikh civil rights, it was found that up to 67 per cent of Sikh children have said they experienced bullying at school because of their religion. Some reported instances of physical violence, including removal of their turbans by force. An estimated five lakh Sikhs live in the United States.